Blue Star Carpentry has been nominated by Trex for best Dock/Marina. Please vote for us on Facebook and tell all your friends and family. Thank you in advance and please click here to vote. Trex has made its mark on the industry not by being the pioneer in the industry, but by constantly being on the forefront of the research and development side of the business. 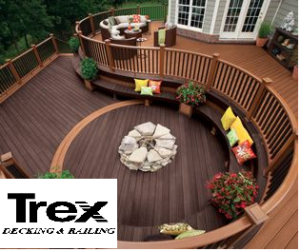 Trex Transcend Decking and Railing are the leading brand and line of decking and railing in the industry. Trex Transcend Decking and Railing will survive any environment with no maintenance whatsoever. Longevity of investment – these decks will last a lifetime as they will not rot.